Health insurance in Canada is so much more than just a prescription drug and dental plan. Have you ever heard the saying, “Your health is your wealth.” Simpy put, we all need to remain healthy to be able to work and provide for our families. When your health goes, your retirement savings, equity in your house and emergency savings plan can quickly follow. With health risks being the #1 financial risk every Canadian faces (much higher risk than passing away prematurely) we need to make sure our investments are secure while we pay the high costs of recovering from an illness. The first line of defence against health risks is to purchase acritical illness insurance policy. This type of insurance pays out a tax free, lump sum, living benefit to YOU, 30 days after diagnosis of a life altering illness or injury. The Big 4 critical illnesses (making up over 80% of all claims) are Cancer, Heart Attack, Stroke and Bypass Surgery. Most policies cover 24 major illnesses and injuries, including the Big 4, and have partial payouts for non-life threatening diagnoses too. In the case of a critical illness, like cancer, you might have to take years off work to full recover. You might need expensive medications, assistance with daily living activities because you are too sick to cook, clean and take care of the kids. Your spouse might take a leave of absence from work to be at your side through the worst of times – meaning no income to the family and living off savings. This is where a critical illness insurance policy kicks in, providing you and your family with much need cash to take care of financial concerns while you are recovering and undergoing treatment. For those who do not have a group benefits plan because you are self-employed or working for a smaller company without benefits, you need to protect your cash flow. Almost 50% of Canadians will experience at least 1 period of long-term disability! You don’t want to become a statistic. It might not be cheap, but disability insurance is a must for all workers without coverage. If you are disabled, and can’t go to work, your disability insurance policy will pay you a tax free,monthly income benefit. This will replace your lost income to pay the mortgage, utilities, put food on the table, etc. How long would you be able to keep up your lifestyle and provide for your family if income suddenly stopped? What if you were off work for 2 or 3 years in recovery from a major injury or illness? It happens everyday to Canadian workers, and unfortunately about half of the time they have no disability insurance. When going into your retirement years, you are probably planning on living on a fixed income. There is often only a certain amount of money available for monthly living expenses, and no more. What if you suddenly had to add an additional $3,000 to $5,000 per month on top of your monthly bills to provide long-term care as you become elderly and frail? This can mean your retirement nest egg might suddenly disappear in a few years, leaving you reliant on adult children to care for you. What if you had an insurance policy that paid out a weekly or month benefit, tax free, to help with the high cost of long-term care? This is what Long Term Care Insurance does. When you really need help with things like feeding yourself, dressing, bathing, or you are suffering from dementia and can no longer be left alone, your Long Term Care Insurance policy start paying out tax free benefits to help pay the costs of this care. This protects your retirement nest-egg from being quickly depleted and gives you the financial resources to age with dignity. If you’ve never looked into health insurance plans like these before, we can help. 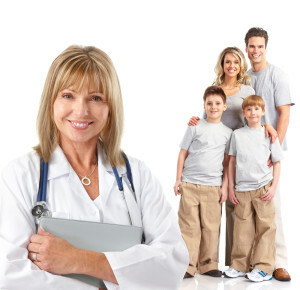 At Life Guard Insurance we are experts in providing individuals, families and small business owners with the health insurance plans they need in Canada. Contact us today for a free, no obligation quote and a complimentary needs analysis.